I had a special treat tonight. 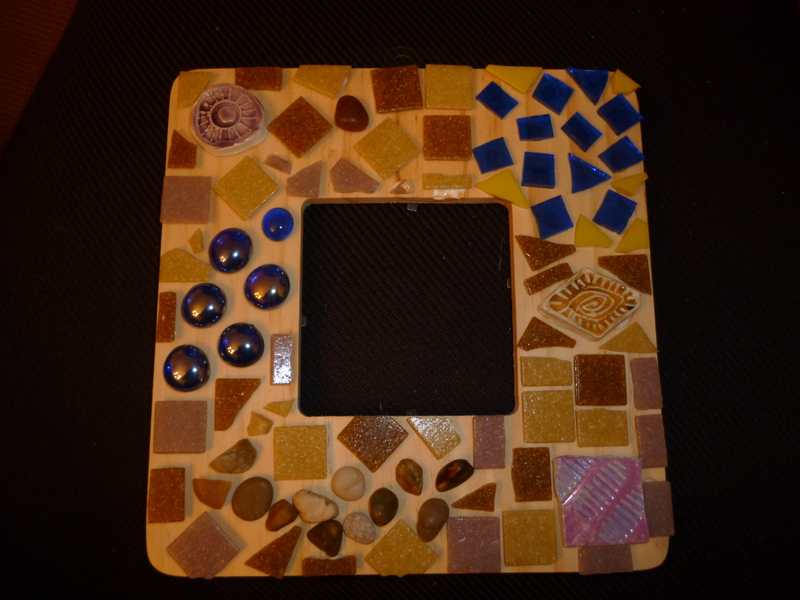 I hosted a full moon celebration at my house and my friends created mosaics with me! None of them had done mosaics before. It was so interesting to watch each one jump right in and start playing around with the materials I had laid out on the table. After a few minutes their design direction began to emerge and they just flowed with it. They all agreed that it was a very fun event. I think it’s always fun to let your creativity shine. They made picture frames and each one is very different and they’re all beautiful. 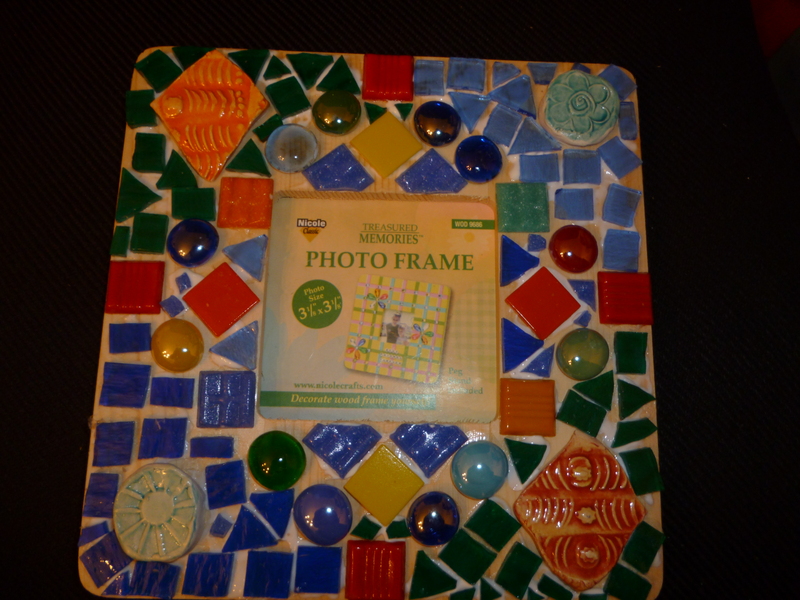 I’ll grout them on Sunday when I grout my creations of the week. They said I could show them off now, before grouting. Don’t you love them? 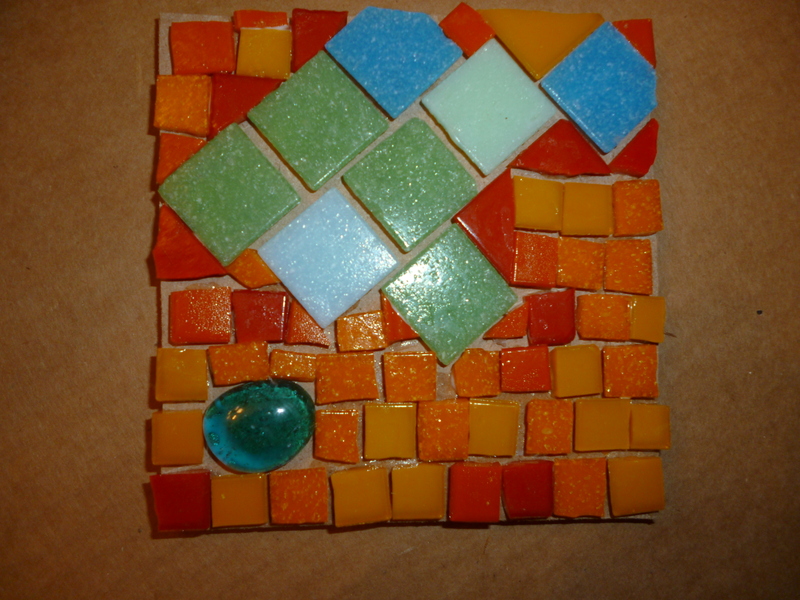 This was the first time that I started creating my mosaic with absolutely no idea what I was going to do. 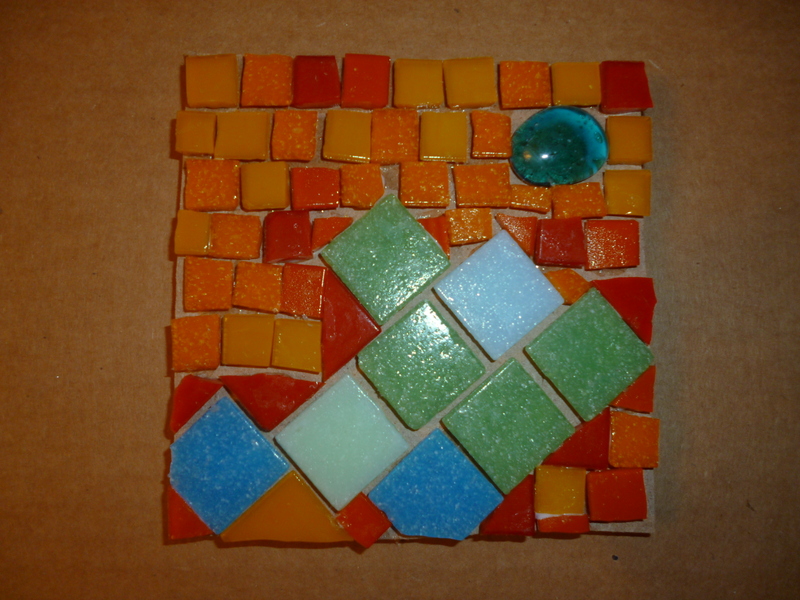 I played around with the tiles and came up with an abstract design. When I was working on it, it reminded me of a graffiti wall – a closeup of a wall painted with graffiti. Then I turned it upside down and it was a turtle!